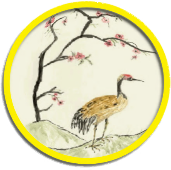 Eurokwai Judo Club located in Egham Surrey, is a long established, friendly, family run club which has been providing expert Judo tuition for over 43 years. Our weekly Judo lessons for children aged 7+ take place on Fridays and Saturdays at the brand new leisure facility Egham Orbit. 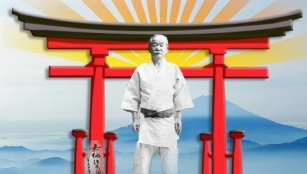 Our focus is primarily on the character building and self-defence aspects of Judo as originally created in 1882 by Professor Jigaro Kano, an educationalist and formidable Jujitsu expert whose vision was to develop individuals who would be respectful to others and contribute to society in a peaceful and positive way. Also like Prof, Kano Eurokwai does not subscribe to the crash, bang, wallop of sporting tournaments and as Sakujiro Yokoyama (one of Kano’s students) said “if you practise Judo as a Sport you are making a big mistake”. We are not a commercial organisation having to rely on numbers to survive. We are a community operated non-profit making club dedicated to ensuring our students receive the benefit of our expertise in the most economical way possible. Lessons are ‘pay as you go’, no direct debit advanced payments, no contracts. In addition our longevity means we have children attending our Judo lessons who are 2nd & 3rd generation family members of previous students. Fridays : 6.30 - 7.30 p.m.
Saturdays : 3.15 - 4.15 p.m.
VENUE and TIMES . . . . . .
demonstrating commitment to maintaining excellent child safeguarding standards …..